It all started one hazy summer's day back in 2013. Yes, we really do work a whole year ahead of ourselves! Team Tatty knew something very exciting was happening when Rosie and Harriet headed out of the studio with a copy of Tron (1980) stowed in Harriet's satchel. Harriet says, "I was fascinated by the use of perspective in retro space ship design and really wanted to capture it in the jewellery. 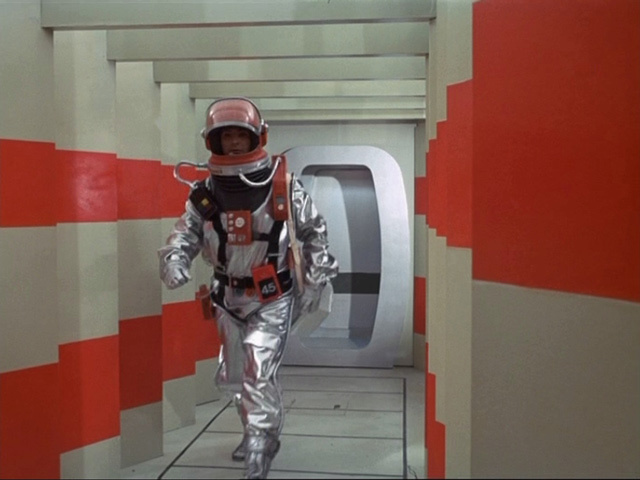 The highly stylised interiors of space ships in sci fi movies from the 70s and 80s were a key point of reference, too. 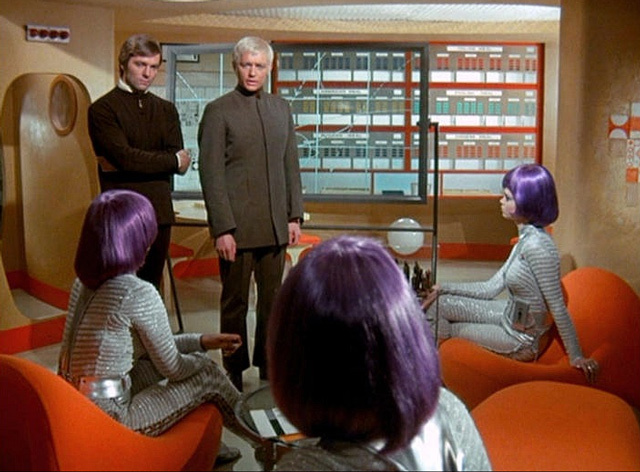 I kept being drawn back to films like Logan's Run and Gerry Anderson's brilliant series, UFO." Next, Harriet recreated her sketch on the computer and after playing with scale and design, our team laser cut a sample to try on. 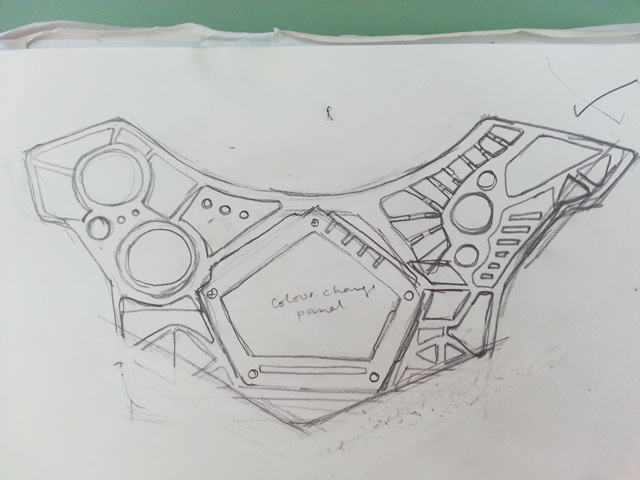 It’s really important that the final product is as perfect as it can possibly be, so a piece can end up looking very different from an initial sample or sketch. 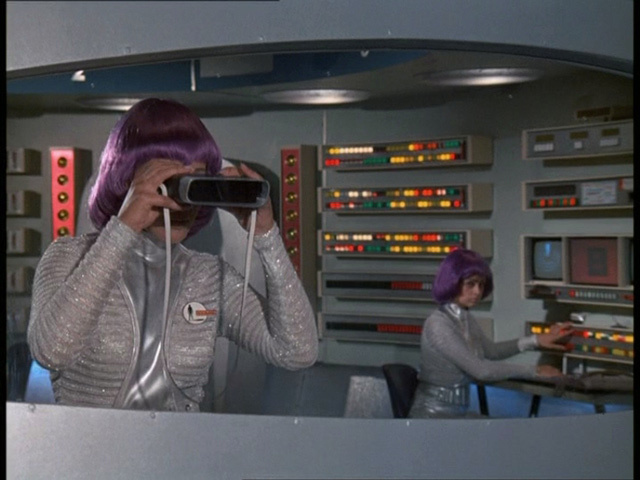 ..
"Do you remember those space themed pin ball machines and plastic games consoles where you control a space ship? 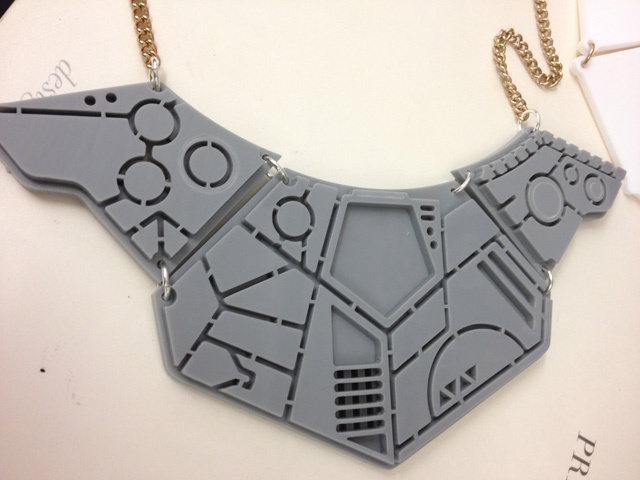 They're referenced in the almost industrial Perspex colour ways of the Spaceship jewellery. 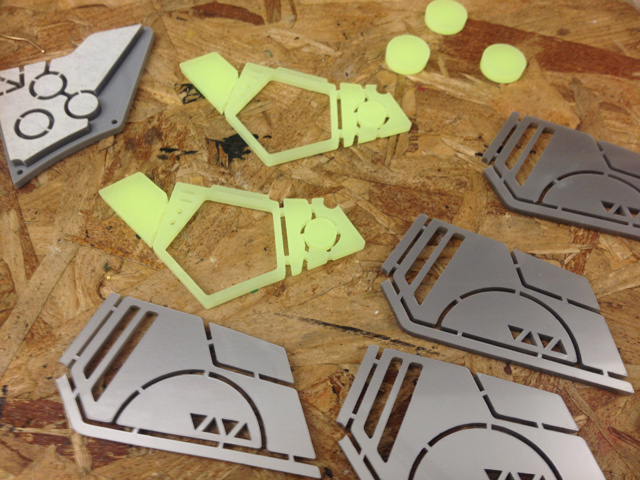 There's a nod to the old Airfix plastic toys that I shared with my brother when we were little, too." 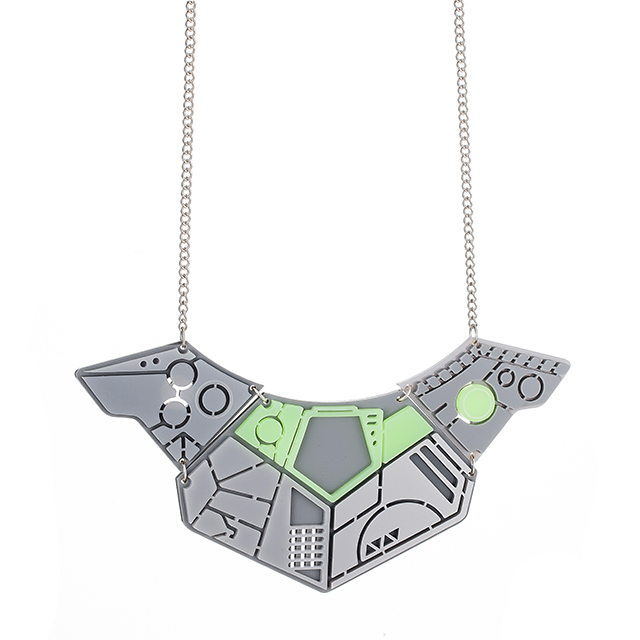 Our new luminous neon green and metallic silver Perspex was the perfect for capturing a sense of futuristic engineering and detailing on the panels of the Spaceship Statement Necklace. 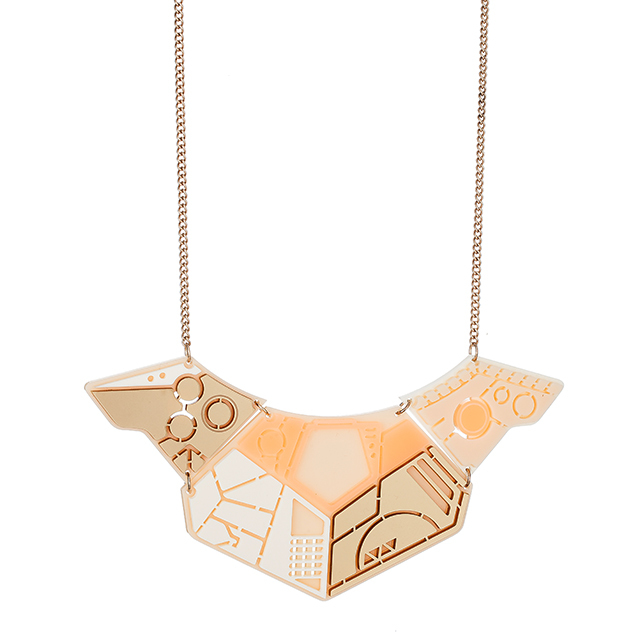 We can just imagine them glowing and shimmering as Tatty Devine's very own spacecraft hurtles through the galaxy! Our time honoured method of testing the durability of new jewellery? Jumping up and down whilst wearing it! 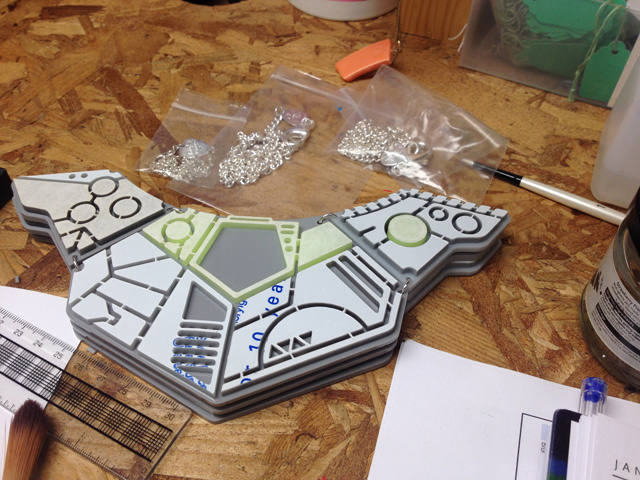 The Spaceship Statement Necklace passed the jump test and headed into production in our workshop. Each piece was carefully hand made in our East London workshop by our highly skilled team. The individual elements of the necklace are covered in a protective plastic film so that they aren't scratched or damaged when they're being laser cut or during the making process. 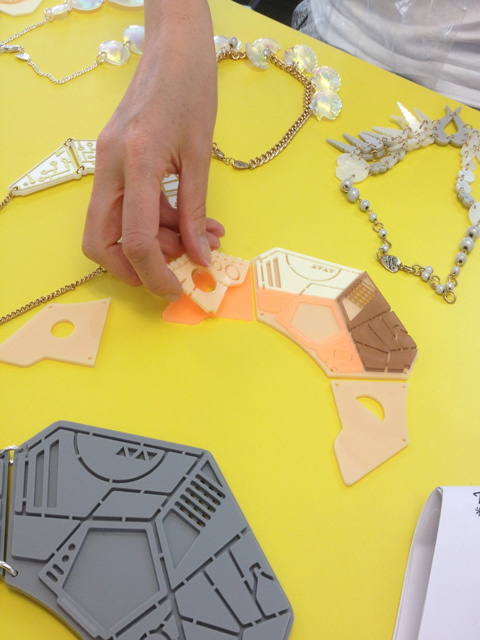 Once they were peeled and given a final clean and check by Annick, Sarah and Becki, the Spaceship Statement Necklace was ready to fly into our stores and website! 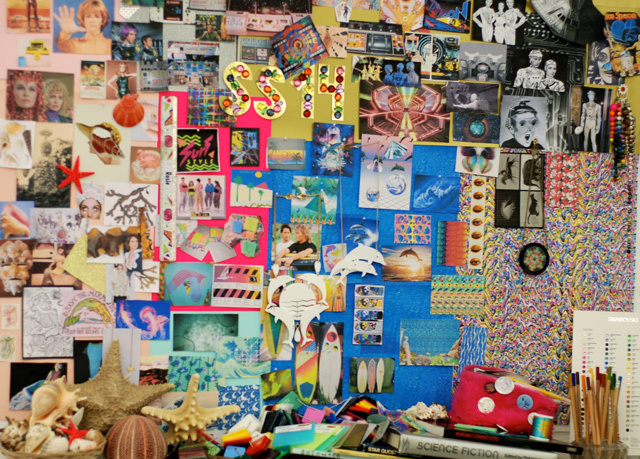 Get your go-go boots on and back comb that beehive - it's time to discover the full Spring Summer 2014 collection now!